One hundred years ago this spring Fort Wayne began its first all-out effort to defeat the most dreaded contagious disease of the day, tuberculosis. Known as the "white plague," tuberculosis was often a fatal side effect of the town's booming industrial prosperity. New jobs and rapid population growth resulted in crowded housing that often lacked basic sanitation. Workplaces were often no better. Such conditions combined with long working days and poor diets, not surprisingly, became life threatening. In 1909 city board of health officials were alarmed by 122 fatalities from tuberculosis. At the end of March and in early April of 1911, the League sponsored a health week at the downtown library described as "the greatest of its kind ever held in Indiana." Speakers included a leading bacteriologist from the University of Wisconsin, the health commissioner of Chicago, and Fort Wayne native Dr. Alice Hamilton. Local audiences no doubt took great pride in Dr. Hamilton. A graduate of the University of Michigan School of Medicine and a former student of the Fort Wayne College of Medicine, she was already recognized for her public health work at Chicago's Hull House and her investigations of hazardous workplaces. All week hundreds of people listened to lectures and viewed exhibits, taking away a better understanding of different strains of tuberculosis. Scientific research showed that the strain most responsible for killing infants and children could be controlled by strict inspection of milk. There were no known cures for the most contagious form of the disease, the strain that infected the lungs and often proved fatal. What experts did know, however, was that communities faced a life or death public health battle. In 1913 Irene Byron, a young graduate of the Hope Hospital Training Program for Nurses, began work as the visiting nurse for the Anti Tuberculosis League. In this role, she had responsibility for educating patients in the importance of sanitation. If the disease were caught in the early stages, a good diet, fresh air, and rest could help patients recover. Miss Byron and other leaders of the Anti Tuberculosis League quickly learned, however, that Fort Wayne was experiencing a tuberculosis epidemic. By September of 1913 more than 600 local residents were suffering from the disease. Two hundred were so sick that nothing short of a miracle could save them. Most of the remaining 400 victims might survive if they could be propery cared for. While tuberculosis sanitariums were becoming established elsewhere, Fort Wayne at this time lacked such facilities. As a first step, the Anti Tuberculosis League opened a free clinic and dispensary. 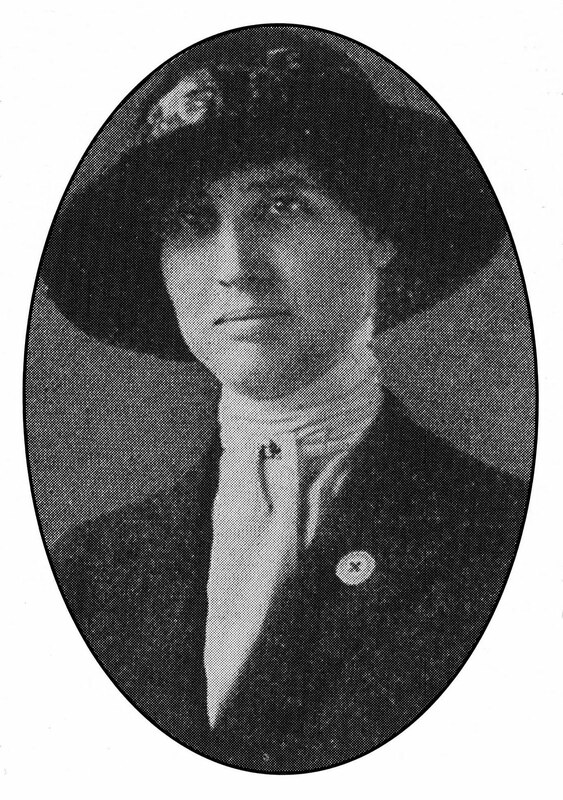 Irene Byron, now as the league's excecutive secretary, took responsibility for supervising programs of home care. In the summer of 1914 Irene Byron began campaigning for an outdoor hospital that would enforce strict rules of rest, diet, and fresh air. Thanks largely to her efforts, the following spring the Anti Tuberculosis League opened Fort Recovery, a group of wooden huts that housed twenty patients, even very young children. Miss Byron continued to care for hundreds of other patients in their homes. At the same time she crusaded for a fresh air school to help underweight chidren become more robust. Irene Byron clearly risked her life through her regular visits with TB patients. By the winter of 1915, such exposre had taken its toll, for she was forced to take an extended leave of absence to visit family in California. She apparently regained her health, for when the call went out in the fall of 1917 for nurses to serve in World War I, she was one of the first from Fort Wayne to sign up. Knowingly, she again risked her life to care for soldiers stationed at Camp McArthur in Waco, Texas, stricken with influenza. Despite the hardships she faced, she hoped to be sent to war areas in France. Within less than six months in Texas, however, Miss Byron died, becoming Allen County's first woman martyr of the war. She was only 36 years old. Irene Byron's efforts to fight tuberculosis in Fort Wayne nevertheless continued. 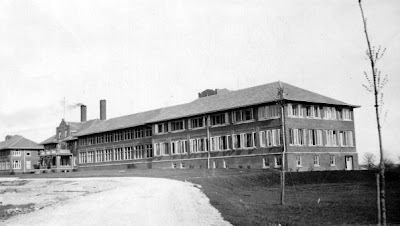 In the summer of 1919 a new modern sanitarium was dedicated in her honor to care for soldiers returning from service. Until medical cures were developed in the 1950s, the Irene Byron Sanitarium continued to be a leader in Indiana's efforts to defeat the "white plague." Some one hundred years after the beginning of Irene Byron's public crusade against tuberculosis, it's appropriate to remember the origin of the current Byron Health Center on 12101 Lima Road and its namesake. The young nurse who so courageouosly led the public health battle against tuberculosis has long inspired others by her example. My grandfather died from TB at the sanitarium in the early 1940s. I've always wanted to tour the building. It's going to be torn down in the near future. The sanitarium was torn down a long time ago. The current Byron Health Center was built later.